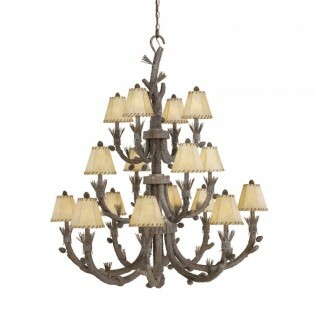 Aspen Pine Cone 3 Tier Chandelier. Our rustic 3 tier pine cone chandelier can add the wow! To your great room, dining room or foyer. 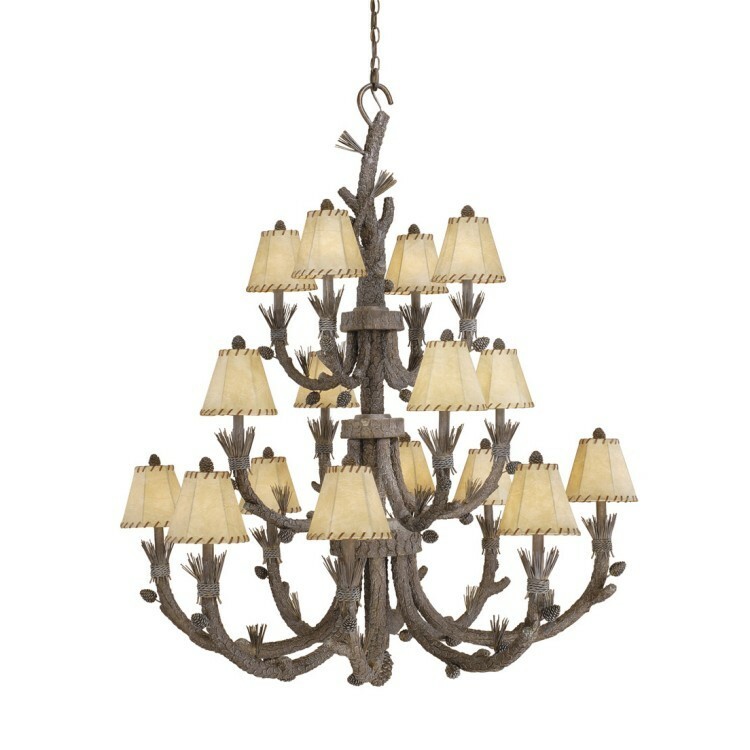 With a grey pine cone finish and faux leather laced shades this grand rustic chandelier has 16 arms with a textured bark finish that hold 16 lights.